Dr. Asa has been in private practice for 35 years as a Chiropractor, Naturopathic Physician, Homeopath and Medical Intuitive; He is currently in active practice in Los Angeles, and consults online with patients across the US and worldwide. His full-spectrum approach includes Bioenergy Testing, Classical Homeopathy, herbal medicine, clinical nutrition, spinal manipulation, and his speciality of 5-Element subtle energy healing. He has been a spiritual seeker since his youth, and is a fully ordained lay Tibetan Lama or Ngakpa of the Nyingma tradition. Asa received his Doctor of Chiropractic from the Canadian Memorial Chiropractic College in Toronto in 1974, receiving the JM Wallace award for standing top of his class of 100 in his second year. He is a Doctor of Naturopathy. 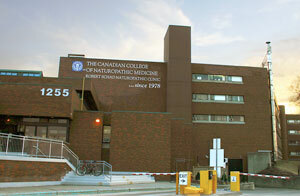 one of the first graduates of the prestigious Canadian College of Naturopathic Medicine, one of only five fully accredited naturopathic four-year colleges. In 1998 he became a Diplomate of the Homeopathic Academy of Naturopathic Physicians. Trained with leading homeopaths including Roger Morrison, Jonathan Shore, Jeremy Sherr, Ananda Zaren, Paul Herscu, Lou Klein, Vega Rosenberg, Jan Scholten and many others. Most centrally, Asa was the main student of Dr. John LaPlante, maintaining a 13-year training and friendship, until Dr. John's passing. It was here he learned the skill of a medical intuitive and psychic healer, gaining the ability to directly perceive and alter human energy fields. One of six founders of the Canadian College of Naturopathic Medicine in 1978, now in its 30th year in Toronto, having graduating thousands of practicing doctors. Secretary of the California State Homeopathic Medical Society, a one and fourteen year-old organization,. for four years. Secretary of the Ontario Naturopathic Association for five years. Secretary of the the Canadian Naturopathic Association for three years. Member, Board of Advisors, Columbia's Miami Heart Institute, Dept. of Alternative Medicine, 1997. Magazine contributions to Let's Live, Delicious, Nature's Impakt, Nutritional Insights, Alive, etc. American Journal of Natural Medicine, Resonance, Simillimum, the Globe, etc. Numerous TV and radio appearances, including the New Attitude Show, Medical Breakthroughs, the Susan Powter Show, CNBC's America's Talking, Gary Null Show, Here's to Your Health, etc. Author of Homeopathy for Musculoskeletal Healing (North Atlantic Press, 1997), Homeopathic Remedies (Avery/Penguin-Putnam, 1999) and Herbal Remedies (Avery/Penguin-Putnam, 2001). Current projects include The Heroic Male and Cutting Through to Freedom. Chief medical consultant/lecturer for Boericke & Tafel (America's oldest homeopathic pharmacy) for 7 years. Medical consultant and lecturer for Dolisos, BHI/Heel, Seroyal Canada, NaturPharm, Nu-Life (Canada's largest supplement manufacturer), Hobon, Natraceuticals, Energetique, etc. Formulated over 250 homeopathic and herbal remedies for various companies (B &T, Acti-Form, Puralin Allergy and Puralin Weight Loss (currently in most pharmacies in America), Schiff-Weider vitamins, etc. Advisor on homeopathy for Andrew Wiel Inc., appearances on WebMD, medical advisor for HealtheStyles.com. Medical advisor for Archibel, creators of Radar and consultant for Kent Homeopathic, the world leaders in homeopathic software. Medical consultant for Apothecus Pharmaceuticals, makers of the most successful and widely marketed homeopathic weight loss product & allergy product. Designed six innovative homeopathic products for Schiff pharmaceuticals, called "Pain-Free". These are the first ever joint-specific, targeted pain and arthritis formulas in existence. Has taught Homeopathy for 25 years to professionals and laymen, presenting as many as 75 lectures and seminars annually in Canada, the U.S. and Europe (including UK and Portugal). Has been on the teaching faculty of Canadian College of Naturopathic Medicine, Southwest College of Naturopathic Medicine, and University of Bridgeport. Formerly professor of materia media, University in Los Angeles, California; Currently on the faculty of American University of Complementary Medicine. Lecture venues have included the US Veteran's Administration, University of the Pacific, University of Southern California, University of Toronto, UCLA, Department of Alternative Medicine at Cedars Sinai Hospital, National Center for Homeopathy, Los Angeles Chiropractic College, UC-Irvine, etc. Has taught widely on Plant Families and the relationship of homeopathic remedy pictures to their botanical nature and inner, archetypal meanings. Asa has investigated and practiced numerous forms of meditation and spiritual disciplines, including Gurdjieff teachings in the early 70's. A major influence was his close relationship for 16 years with his mentor, the late Dr. John Laplante, Homeopath and Naturopath, a remarkable medical intuitive and healer. A student of Buddhism for 24 years, Asa completed the full training of a Tibetan Lama from 1986-1989, having undergone the rigorous 3-year, 3-month meditation retreat held in strict seclusion on Salt Spring Island, of the Coast of British Columbia. He currently is ordained as a non-monastic Tibetan Lama and meditation teacher. A student of Tibetan Yoga as well as Qi Gong and Tai Chi, under Mantak Chia and Michael Winn. Head of the School of Tibetan Healing Cho for training Westerners in this meditative practice. Training in voice and presentation with David Smukler, York University, Toronto. Bilingual in English and French. Written and spoken Tibetan: translator of numerous Tibetan texts as well as oral translator for visiting Tibetan lamas. Extensive training in fine art and graphic design, computer graphics; Skilled in the use of Quark Xpress, InDesign, Photoshop, Illustrator; Typesets and illustrates all his own books and makes his own darn websites. Has produced over 1000 educational slides and over 250 line drawings of medicinal herbs and homeopathic plants, some of which appear in his three books. After many decades as a licensed Chiropractor and Naturopath, nowadays I work as a natural health consultant and homeopath. In California this allows me the breadth and freedom to practice the advanced methods of bioenergy assessment and energy healing methods that are still fifty years ahead of their time. Intensely independent, the goal has always been to discover the hidden truths of body and mind, and help others to live better, more fulfilled lives, and relieve suffering of every kind wherever possible. Fame, fortune, status and belonging to any "group," be it medical, spiritual or social has always been sacrificed on the alter of my true calling.